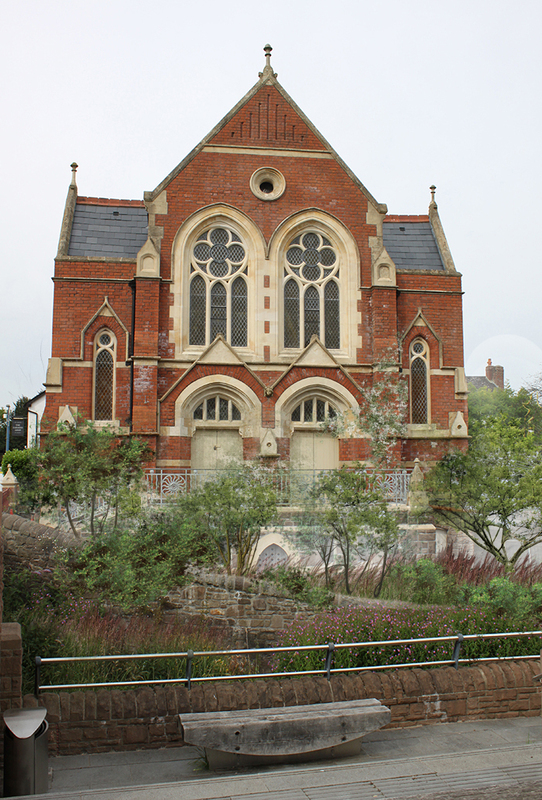 In 2015 this 19th century Baptist Chapel was renovated, opening as an Arts, Performance and Café space in Abergavenny. 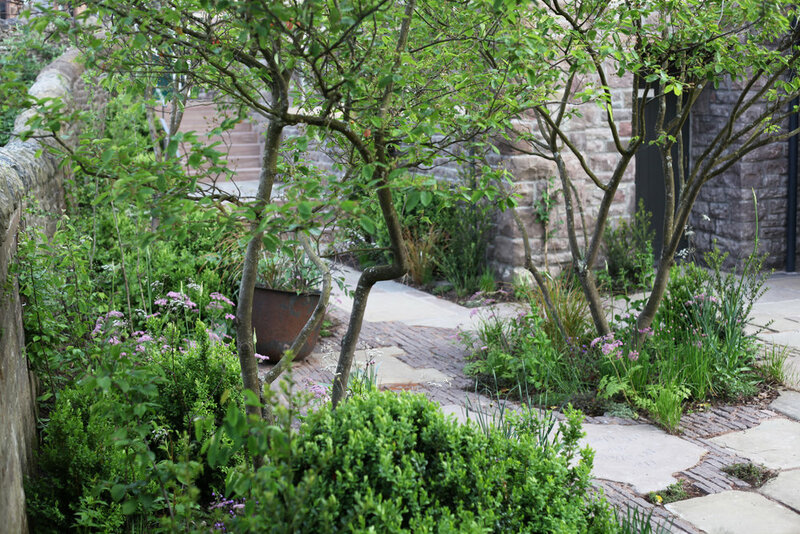 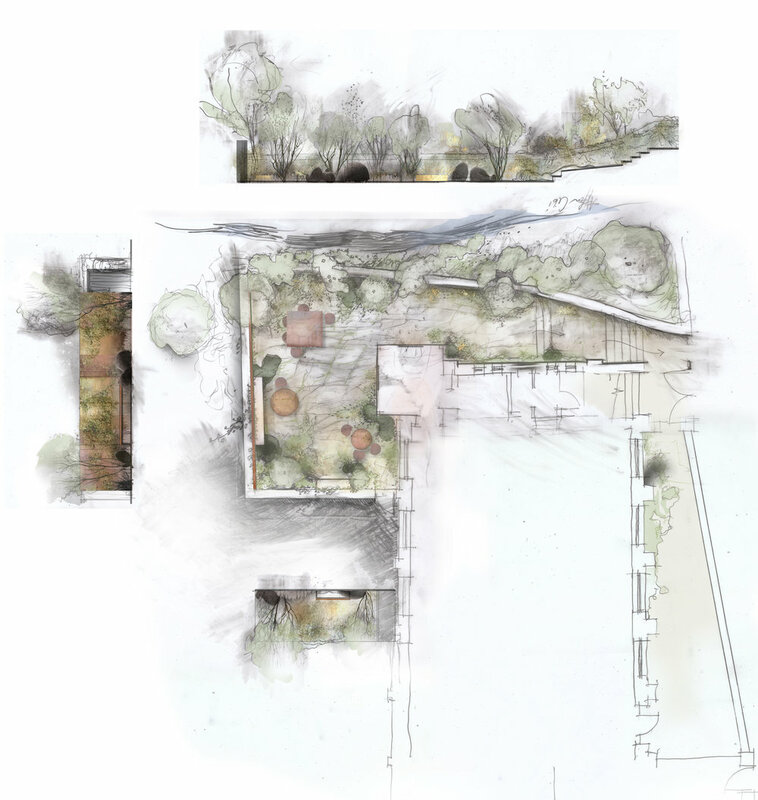 Outside, the modest 7m x 10m space was transformed from a building site into a secret garden: Four mature, multi-stem Amelanchier canadensis were planted, immediately sheltering the plot from the outside bustle of the street and animating the garden with their kooky sinuous stems and later, their April blossom. 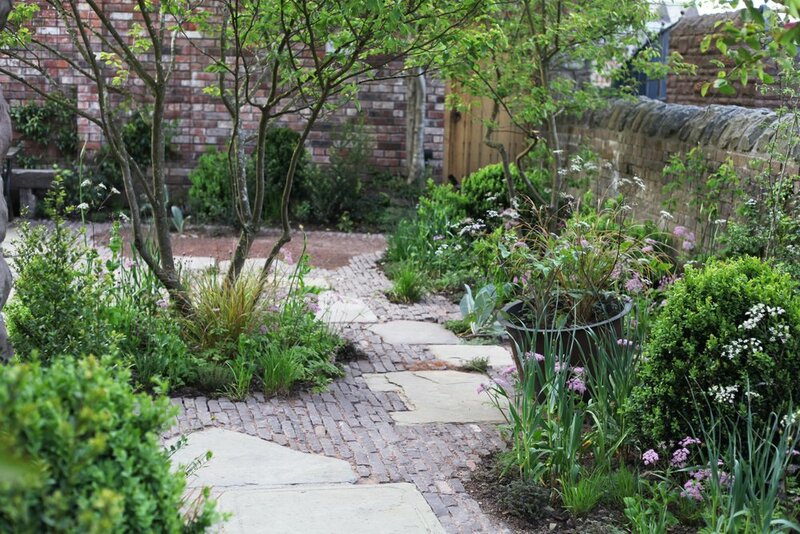 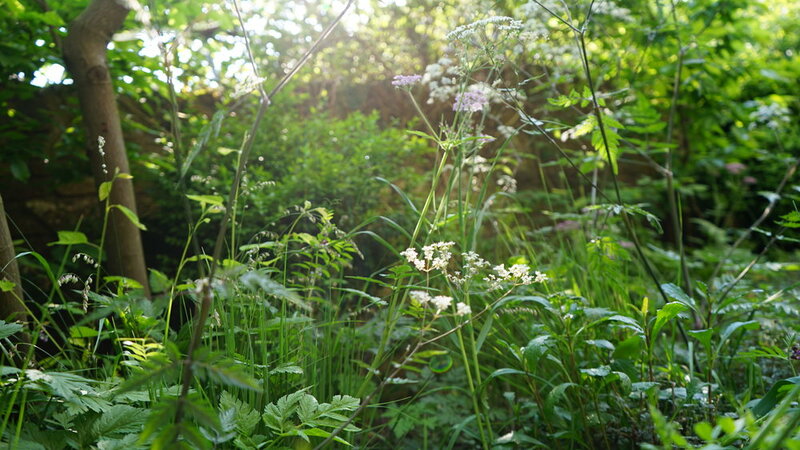 Discarded stones lying around the site were ‘upcycled’ and rearranged into intricate patterns; broken pieces of local stone were laid on edge so they flowed like jagged sets around irregular, old flagstones and arranged plantings that appeared self-sown. 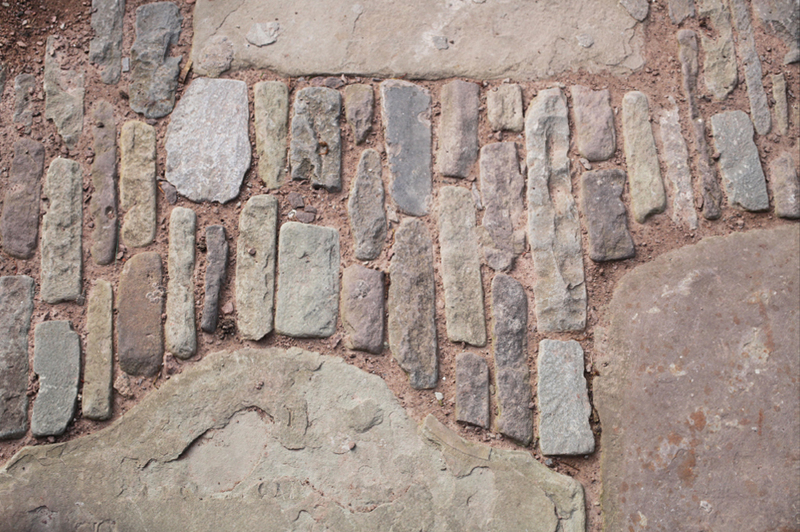 The result is satisfyingly site-specific: many visitors think that the paving and trees have always been in place.